The Civil War is a landmark of American documentary filmmaking. Forty million people watched Ken Burns’ 11 hour documentary series when it first aired on PBS in 1990. Working under the direction of Burns and Restoration Producer Daniel J. White, Technicolor PostWorks New York recently hosted a 4K restoration that brought the project vividly back to life in preparation for the 25th anniversary rebroadcast of The Civil War on PBS and its Blu-ray release. The Civil War was shot on 16mm negative by Burns and his co-cinematographers Allen Moore and Buddy Squires in a production spanning more than 10 years. The entire series was re-assembled by White under the guidance of Paul Barnes, ACE, who edited the original in 1990. Restoration was accomplished at Technicolor PostWorks by a team of artists, editors and producers, including Vice President of Creative Services Ben Murray, Conform Editors Jeff Cornell, Allie Ames and Ryan McMahon, and Supervising Colorist Jack Lewars. CTO Joe Beirne and Director of Technology Matthew Schneider contributed workflow design and imaging pipeline management. 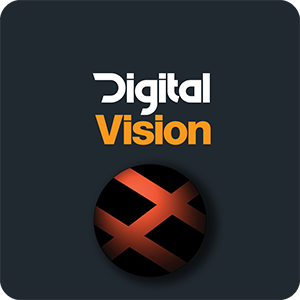 We used Digital Vision’s Phoenix as our primary restoration tool. The sensitivity of its grain and image noise manipulation tools is really unsurpassed. Beirne said, “We had been approached by Florentine Films for support on an upcoming documentary series, and during that meeting I casually asked if they had ever contemplated re-mastering any of Ken’s work in 4K. One of the producers contacted us shortly thereafter and said they were actually in the process of prepping for a 4K restoration of the entire Civil War series, in conjunction with George Eastman House, and they asked us to work on it with them. Phoenix is just very, very flexible. It’s the standard against which we compare everything else. Digital Vision’s Phoenix suite of products offers world class restoration tools and features award-winning DVO image processing software tools, including DVO Clarity and DVO Grain. “We’ve found with Phoenix, that by using a light level of automated dust and dirt detection, we can essentially leave the process on ‘auto’ and then have experienced restoration artists review the defect maps for false positives,” noted Beirne. “So rather than going the other way around, we essentially manually ‘un-dustbust’ the defect map instead of dust-busting the original. Set correctly for the material, the Phoenix is sensitive enough to make this a reliable process, and it’s really a great time savings. Even for clients who were understandably resistant to the idea of doing any sort of automated defect repair, we were able to show conclusively that no anomalies survive the process.